I love the strawberry-guava fizz it up. It's the best summer cooler. 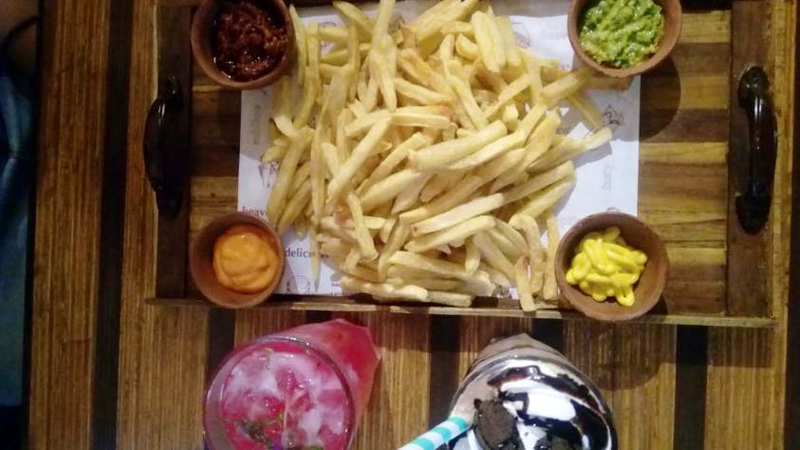 The Oreo shake is heavenly and the triple cooked fries are served with variety of dips! There is place to keep your pets also! The interiors are lovely and has a wonderful ambience! Must visit place - so keep it on your list! Have enough time on your watch, cause once you are in hard to leave the little place! Parking is easily available in nearby lanes!